IMMIGRANTS risk homelessness and even being BURNED ALIVE if they come to England without a job lined up, the British Government has warned. A Polish-language film, funded by Eric Pickles's Department for Communities and Local Government, charts the journey of three immigrants in Britain. Jacek comes to England looking for “work and a better life” but suffers an injury as a casual labourer. He loses his job and the video warns he is not entitled to benefits so ends up becoming an alcoholic sleeping rough. The film then shows him being mugged by thugs before being set alight in his sleeping bag. He then has no option but to return to Poland. Attacks on Poles on the rise. After Brexit, anti-immigrant Brits openly show their hostility. PiS government sent Polish officers to patrol the town streets. 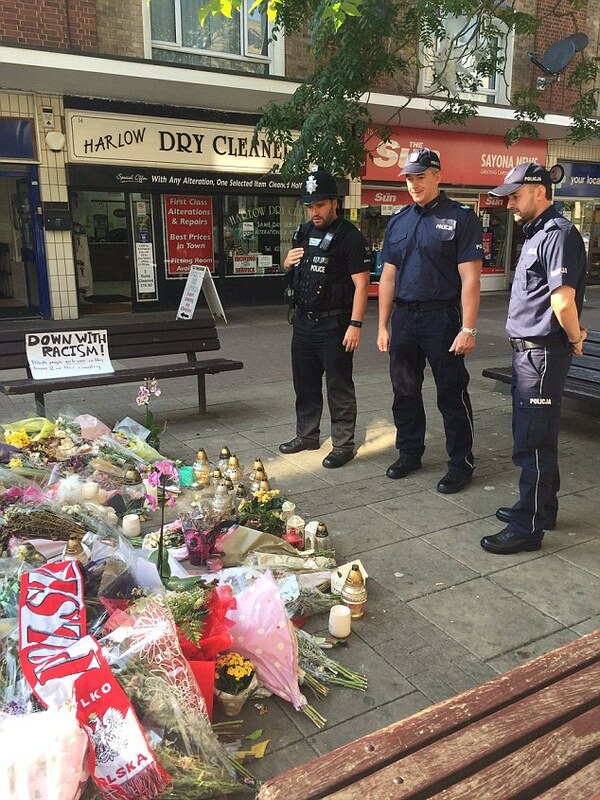 Two Polish officers have arrived on the streets of Harlow weeks after a man was beaten to death in a suspected hate crime. Second lieutenant Bartosz Czernicki and chief sergeant Dariusz Tybura patrolled the streets this morning in their official Polish State Police uniforms. 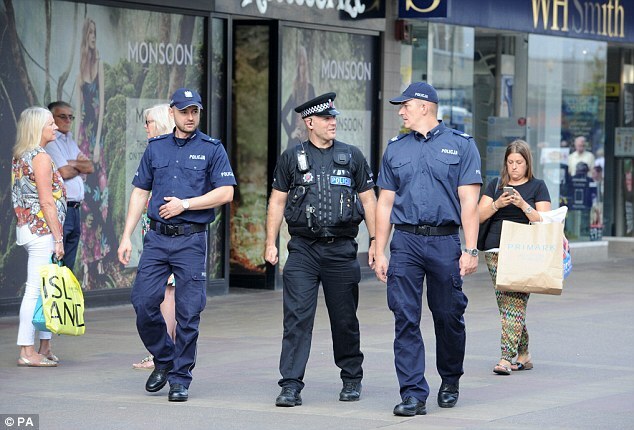 The move is designed to reassure members of the town's sizeable Polish community who are said to be 'scared and worried' after the killing of Arkadiusz Jóźwik last month. The beloved uncle - who moved to the UK four years ago - was assaulted outside a pizza restaurant by a gang of youths after they heard him speaking in his mother tongue with pals. A witness described the youths as 'hyenas' after the late night attack on August 27. He was taken to the Princess Alexandra Hospital, Harlow, before being transferred to Addenbrooke's Hospital, in Cambridge, where he died two days later. His friend - a 43-year-old man from Harlow was also taken to the Princess Alexandra Hospital - with suspected fractures to his hands and bruising to his stomach. He has since been discharged from hospital. Three other Poles have also been attacked in separate recent incidents in the town. The deployment of the officers comes after Jean-Claude Juncker, the president of the European commission, condemned attacks on Polish people in the UK. The officers will not have police powers but will patrol the streets in a community-support role. Their arrival has split opinion in the Essex town. Resident Tom Flynn said: 'I never thought I would ever see the day Polish police officers would patrol Harlow. Eric Hind, a Harlow-based Pole who organised a protest march in the town after Jóźwik's killing, was sceptical about the move. But Paula Templeman, 36, who was sitting outside a cafe, said the officers were 'completely approachable' and 'seemed lovely'.